Finland holiday cottage. 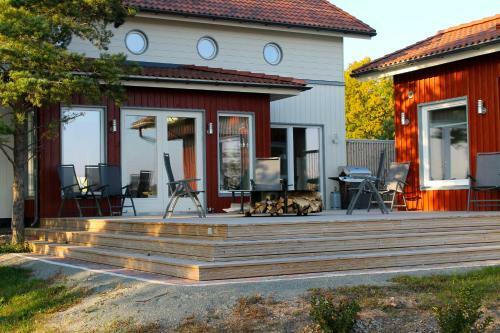 Located in Västlax, Stenholmen features accommodation with a TV. The accommodation has a sauna. As a special offer, the property offers their guests a half day boat trip free of charge in 2018. Featuring a living room with a sofa, as well as a fully equipped kitchen, each unit has a shared bathroom with shower and a washing machine. A terrace with sea views is offered in every unit. The holiday home offers a barbecue. A private beach area is available on site and hiking can be enjoyed within close proximity of Stenholmen. Salo is 41 km from the accommodation. Turku Airport is 57 km from the property.